If you are really unsure what to get your mother this year I think having a browse really helps give you some ideas and inspiration and all the items are at affordable prices and start from as little as £2!! I had the chance to pick out my own Mother's Day gift ideas from their website, have a look below for what I chose. 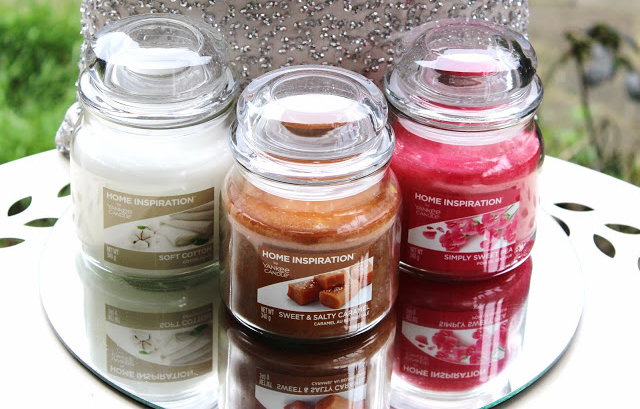 I was excited when I saw Yankee Candles* on their website as I am a massive candle fan and think they make a great gift with their pretty jars. There are three different scents to appeal to everyone's tastes. Soft Cotton* is great for people who prefer a more delicate and light scent, it will fill your room with a comforting clean soft linen aroma to help soothe and calm you. Simply Sweet Pea* is a slightly stronger scent and it is a yummy sweet fruity scent that personally reminds me of sweets! I think this would be perfect for burning in Spring, it is a mix of sweet pea blossom and fruity sweetness. I have saved my absolute favourite scent for last, Sweet and Salty Caramel* - this is definitely best suited if your mother likes dessert and sweet scents! You can smell it through the jar without even taking the lid off which is what I love about Yankee Candles* they are great quality and when burnt fill the room nicely with the scent. There is not much I can say about from this scent except it smells exactly like what it says and it is absolutely divine and mouthwatering!